Print: “Mr. One derful ” text on T shirt. 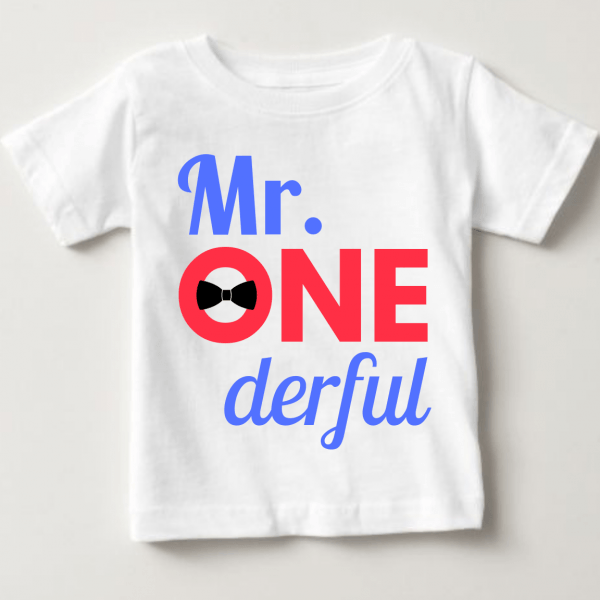 “Mr.One derful ” Text print on t-shirt.